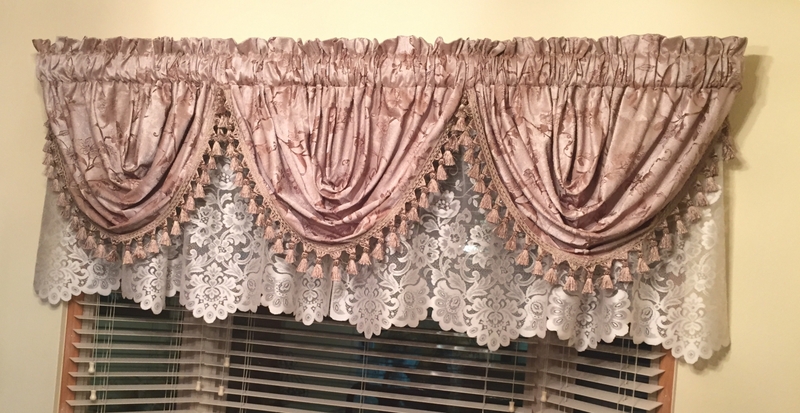 Floral Lustre features a textured woven jacquard floral motif accented with a tasseled fringe. Valance has a 3" Rod pocket and a 2" header. For proper fullness use 1 1/2 to 2 times your window width in fabric. 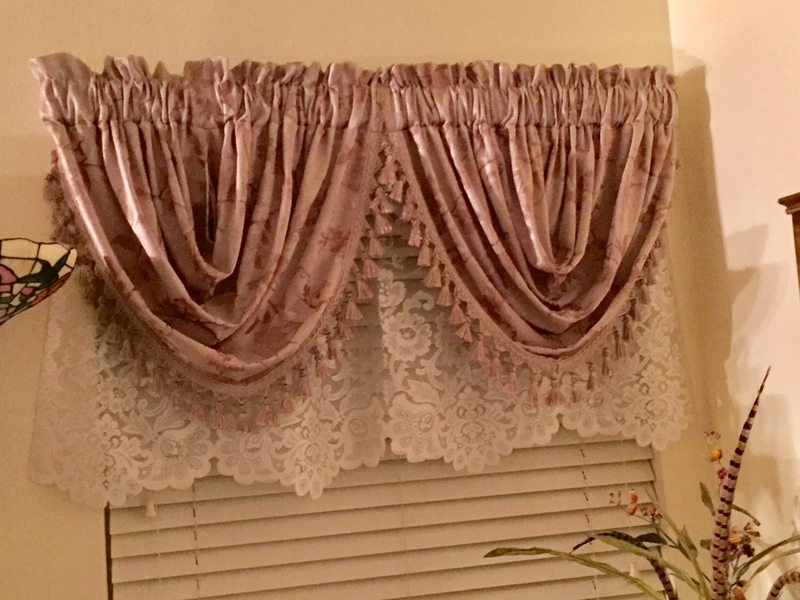 Use extra insert valances for wider windows. Matching Panels also available. 100% Polyester, Machine Washable. These swags are beautiful. I was prepared to be disappointed with quality and color. The material is very elegant quality , color just right and they hung up beautifully. ProsPrice was reasonable and great quality. ConsNone other than having to order online without touching and thinking color might not be true to pictures. I would definitely recommended this item.